IJAPM follows the Open Access model. The publication cost should be covered by the author’s institution or research funds. 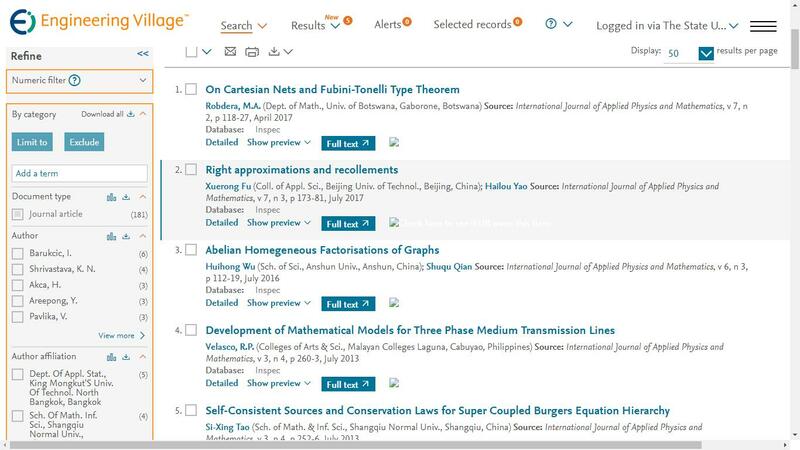 These Open Access charges replace subscription charges and allow the IJAPM to make the valuable published materials freely accessible to all interested online visitors, especially the researchers and young scholars from developing countries. The publication of an article in the peer-reviewed journals published by IJAPM is process of permanent knowledge improvement. It is a direct reflection of the quality of the work of the authors and the institutions that support them. Peer-reviewed articles support and embody the scientific method. It is therefore important to agree upon standards of expected ethical behaviour for all parties involved in the act of publishing: the author, the journal editor, the peer reviewer, the publisher and the society of society-owned or sponsored journals. IJAPM takes its duties of guardianship over all stages of publishing extremely seriously and we recognise our ethical and other responsibilities. Peer review assists the editor in making editorial decisions and through the editorial communications with the author may also assist the author in improving the paper. Peer review is an essential component of formal scholarly communication, and lies at the heart of the scientific method. IJAPM shares the view of many that all scholars who wish to contribute to publications have an obligation to do a fair share of reviewing.